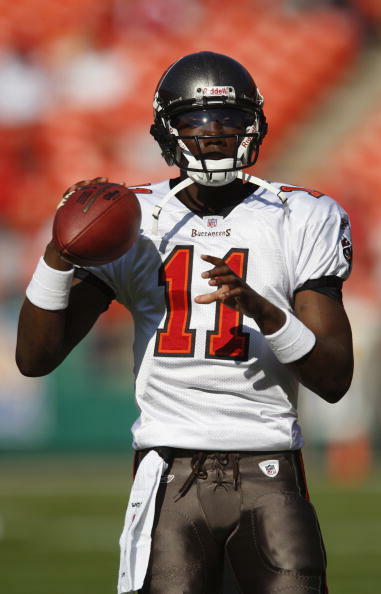 When the 49ers hired Jim Harbaugh as head coach, there was plenty of talk that the 49ers would look to acquire Buccaneers quarterback Josh Johnson, who had played for Harbaugh at the University of San Diego. 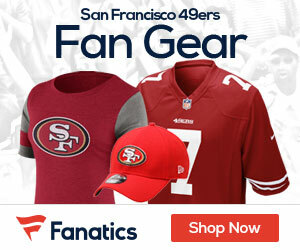 With his path in Tampa Bay blocked by 2009 first-round pick Josh Freeman, Johnson, an Oakland native, would welcome a return to both Harbaugh and his native Bay Area, Eric Branch of the San Francisco Chronicle reports. Johnson is scheduled to earn $596,833 in base salary in the final season on his four-year, $1.877 million rookie contract. After sitting his rookie season, Johnson started four games in 2009, completing 63-of-125 pass attempts for 685 yards with four touchdowns and eight interceptions. As the No. 2 quarterback behind Freeman in 2010, Johnson completed 14-of-16 attempts for 111 yards, and has added 187 yards on 26 attempts over the 2009 and 2010 seasons. In college, the 6-foot-3, 205-pound Johnson was a three-year starter for the Toreros, passing for 9,699 yards and 113 touchdowns while running for 1,864 yards and an additional 19 touchdowns. USD was 30-4 in Johnson’s starts. Johnson also shed some light on what Harbaugh is like as a coach. 2005 first overall pick Alex Smith is a free agent, but has been running the team’s lockout workouts and is expected to be re-signed to a one-year deal. The 49ers have David Carr under contract through this season, and used a 2011 second-round pick on Colin Kaepernick. That will likely be the depth chart this Fall, unless the 49ers wanted to save some cap space by replacing Carr’s $2.375 million cap hit with Johnson’s ($596,833), though the Buccaneers may not be eager to trade their top backup at the quarterback position. That said, Carr’s salary would help the Buccaneers reach a cap floor. 1 Comment on "Bucs QB Josh Johnson Wouldn’t Mind Being a 49er"
Get Josh Johnson, Let David Carr walk, Alex Smith To the 3rd spot or on the p/s and Colin Kaepernick as the back up, How hard is that, After the lockout is over and done.